We developed a new visual identity and tone of voice for Grundéns. Hues of blues and greys were chosen to represent the colours of the sea and sky, contrasted with the iconic orange on Grundéns-kitted fishermen. The horizon, so familiar to those offshore, is used as an important graphical element in the new identity. 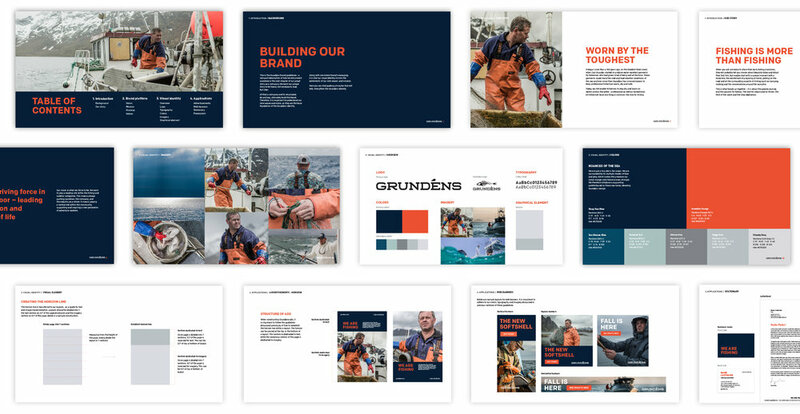 At Seventy Agency, we developed a new visual identity & tone of voice for Grundéns, a commercial fishing company looking to grow their offering into the sports fishing market. Hues of blues & greys were chosen to represent the colours of the sea and sky, contrasted with the iconic orange on Grundéns-kitted fishermen gear. 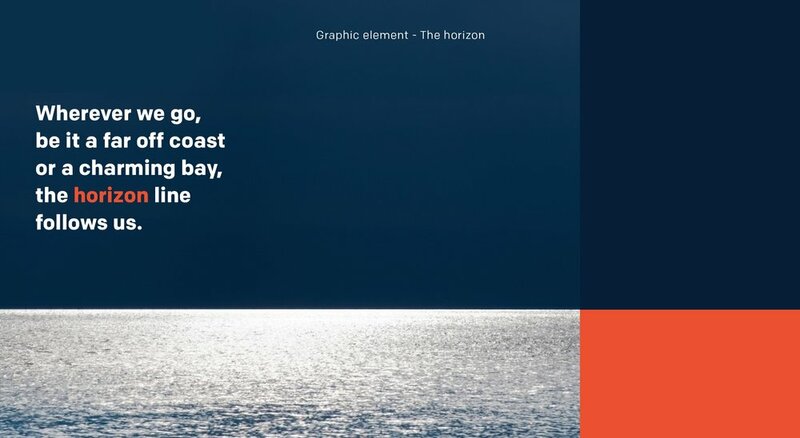 The horizon, so familiar to those offshore, is used as an important graphical element in the new visual identity. My role: Designer exploring, defining & finalizing the new visual identity and creating the final brand guidelines. The team consisted of two Designers, an Art Director, and a Strategist.